Arro Money, a trading company of Marq Millions, has built on its portfolio of high-quality financial service accounts with the launch of a new customisable solution for individuals. Personal account holders can now choose from three service levels, ranging from a free account, which provides all the basic banking needs while being completely flexible, to one that offers free ATM withdrawals and free faster payments for as little as £10 a month. What makes these accounts truly unique to the FinTech sector is their flexibility and ease of access – with people able to open accounts in under three minutes. Users are not confined to a single service level upon opening their account; instead account holders can pick the financial services package that is most relevant to them.Additionally, customers can manage their money easily and in real time, a particular pull factor to users wanting more control over their spending. A further benefit of these newly launched accounts is that unlike a traditional high-street bank account, all fees are up front, so users know exactly what they are paying for and the services that are available to them. Commenting on the unique account offerings, Muhammad Asim, CEO at Marq Millions, said: “Flexibility and upfront fees along with world-class customer service is why consumers choose Arro Money as their financial services provider. Jonathan Farnell, Risk Director at Marq Millions, added: “With the increased number of account holders month-on-month we can see users value our product and service offering. Personal account holders, regardless of the service level they select, will benefit from features associated with a traditional bank account, such as instore and online payments, bank transfers and free credits into the accounts. This means customers gain access to a fully-fledged financial service account despite previous credit history or length of stay in the UK, unlike a high-street bank account. Since its launch in 2017, Arro Money has enjoyed robust growth, expanding its client base tenfold in 2018 and reaching an impressive 11,000 active users. As a result ofArro Money’s ongoing success, its parent company, Marq Millions has moved to a larger office in order to build the operations team to support growing business demand. 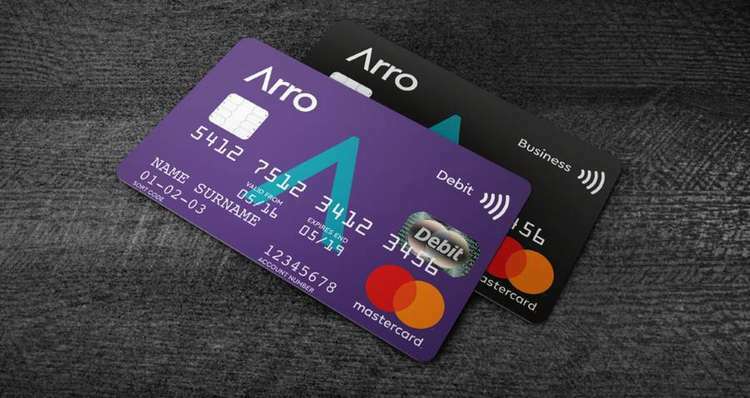 To find out more about Arro Money and its personal and business account fees and offerings, visit: https://www.arromoney.com/.